Ryan Strome is a Canadian professional ice hockey player who plays in the National Hockey League (NHL). As of 2019, he currently plays for the New York Rangers as their Center/Right Wing. Strome has played for other teams like New York Islanders, Edmonton Oilers. Ryan Edward Strome reportedly earns around $3,100,000 as his yearly salary from New York Rangers and has an estimated net worth of over $5 million. Ryan got engaged to his girlfriend Sydney Turner in 2018. As of 2019, Ryan Edward Strome has an estimated net worth of over $5 million similar to that of Damon Severson of the Devils. He currently earns $2,274,189 as his annual salary in 2019. 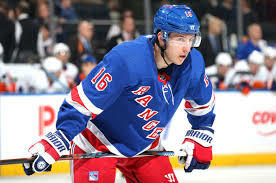 He reportedly signed a two-year contract worth $6,200,000 contract with New York Rangers on July 6, 2018. The contract further includes a guaranteed sum of $6,200,000 and a cap hit of $3,100,000. Ryan has an average salary of $3,100,000 annually and so far he has made earnings of $10,972,492 from his entire NHL career. Ryan signed his first official contract for three years which is worth $5.325 million with the New York Islanders on October 6, 2011. Later on, he extended the contract worth $5 million for two-year on September 25, 2016. 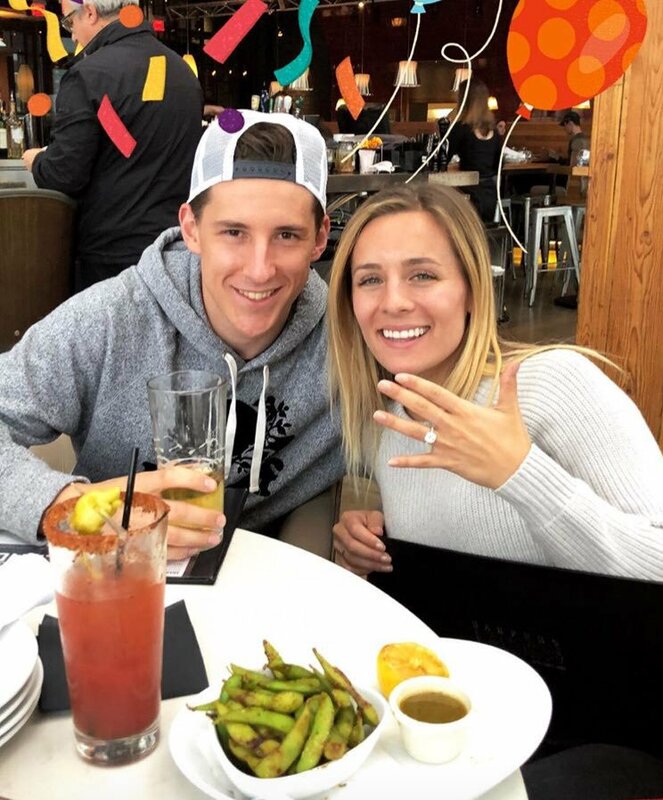 Ryan Strome is currently engaged to his girlfriend Sydney Turner since April 2018. The news of their engagement broke out after the couple's photo with his girlfriend Sydney showing her engagement ring was posted. The couple reportedly met each other 5 years back as Sydney's family lived close to the Strome. Since the couple is engaged now, so they might be planning to get married soon. In addition to this, there aren't any rumors about the past relationship/affair of Ryan found on social media. The Famous NHL star Ryan Storme is 6 feet 1 inch in height and weighs around 91 kilograms. Ryan Edward Strome is not only a world-class athlete but also is a very attractive individual. Ryan Edward Strome was born on July 11, 1993, in Mississauga, Ontario, Canada to parents Chris Strome and Trish Strome. As per his nationality, he is Canadian and belongs to the White ethnic group. He grew up along with his siblings, Dylan Strome, and Matthew Strome and they are also hockey players. Ryan began his NHL career after being drafted in the 2011 NHL Entry Draft by the New York Islanders and started playing for Islanders in 2013 season. Ryan's first goal was against Kari Lehtonen of the Dallas. In addition to this, he also played a season in 2017 for the Edmonton Oilers where he played altogether 82 games and was later traded to the New York Rangers on November 16, 2018. Currently, he is playing alongside Brady Skjei and also with the defenceman of the New York Rangers, Neal Pionk.